Matthijs Dirks finished his term as president of AEGEE-Nijmegen not too long ago. The AEGEEan talked to him to find out more about his efforts in changing promotional material according to the visual identity, the life as a full-time board member and his future plans. The AEGEEan: Matthijs, please introduce yourself, your hobbies and studies to our readers. Matthijs: Hi dear readers of The AEGEEan, I’m Matthijs. 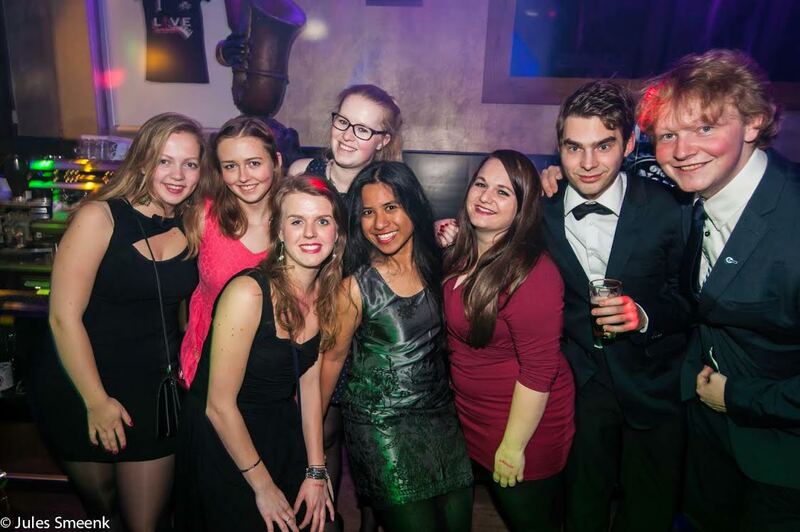 I’m in my third year of membership with AEGEE-Nijmegen (And in my first year of membership with AEGEE-Eindhoven). Some of you may know me from my partake in organising two Summer Universities or the Network Meeting (NWM) in Nijmegen or Eindhoven, or maybe from an Agora or the Night of the Seven Antennae. For those who don’t know me: I’m a third year Linguistics student, and I’ve tried to make myself valuable as President of the XXIXth board of AEGEE-Nijmegen. I’m currently 22, and my favourite colour is blue. My hobbies include, but are not limited to, making video animations (especially teaching students how to do that), fooling around with Photoshop, and enjoying a beer with the good people I have surrounded myself with over the past few years. What was your first reaction when you heard that you were elected as Member of the Month? 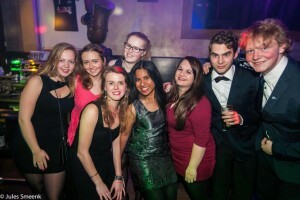 I was, at that point, at the formal party ‘Show Your Colour’ organised by AEGEE-Leiden, where I’ve had a beer (or two). So I may have overreacted by shouting – a bit – that “it couldn’t be true because I feel like I don’t deserve it. I don’t feel like I did something special for AEGEE-Europe or AEGEE-Nijmegen”. Anyhow, of course I take great pride in receiving this title – and I can take a compliment when I get it. It’s an honour to be Member of the Month and I hereby would like to thank my parents for their support in this race, and my friends for never having stopped believing in me – even last January, when my biggest rival ever (Svenja) got the title. You have been a board member of a Dutch local for one year. There are always some rumours going around saying that being a Dutch board member means working a full time job. Can you tell us about your experience? It’s certainly true that you can devote a lot of your time at being a board member of a Dutch local, but you can do that everywhere. I mean – if you’d want – everyone can work for 40 hours a week on projects for their locals. That doesn’t make it a Dutch thing, though in a lot of countries it’s very uncommon to do so. In the Netherlands it actually is very common. Student associations are a real big part of studying here. When you get into the uni, the question is ‘which association shall I join’, because you know for sure that you will join one. The universities recognise the benefits of a board year, so they highly recommend a position in a board of something you love. 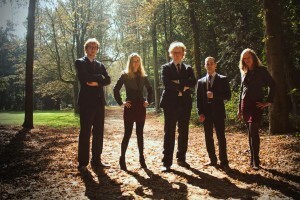 Also student associations have been around for a long time in our student life, in Nijmegen for example there are associations that are almost a 100 years old. I guess the support of the university, and the fact that a gap year is socially accepted, make it easy to devote all of your time on your board year. 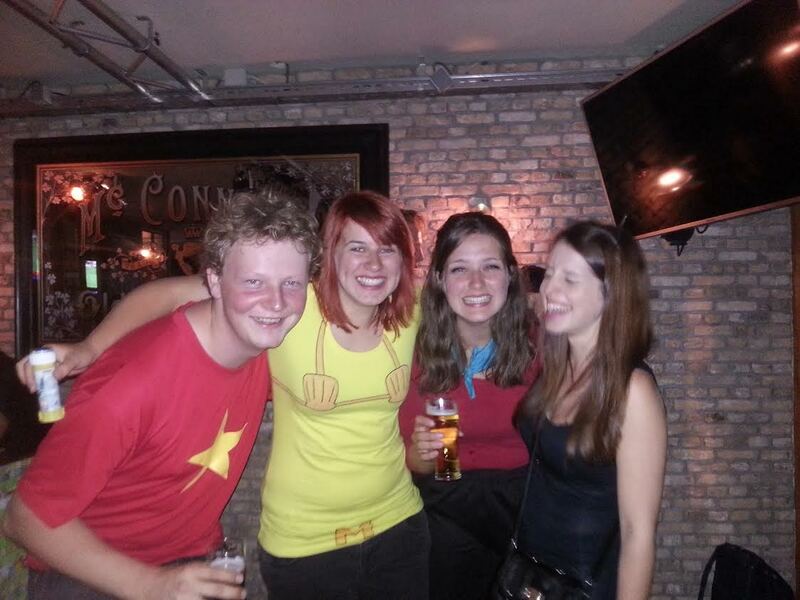 So in my experience I have had weeks where I’d easily work for 60 hours on AEGEE-Nijmegen. But there are also weeks that are more quiet, and then a good 30 hours would be sufficient. What was your favourite task in general while being a board member? That would surely be the part where you’re socially obligated to talk to everyone. Of course you don’t HAVE to like everyone, but I wanted all our members to like AEGEE-Nijmegen. I got to know a lot of people whom I’d maybe never had spoken to otherwise. 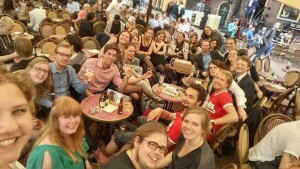 I’ve now befriended them, and it’s hard to imagine an activity with AEGEE-Nijmegen where I don’t feel like coming home. One of your main achievement was to re-design all the promotional material and bring it in accordance with the visual identity. What exactly did you have to do? Was it a difficult task? 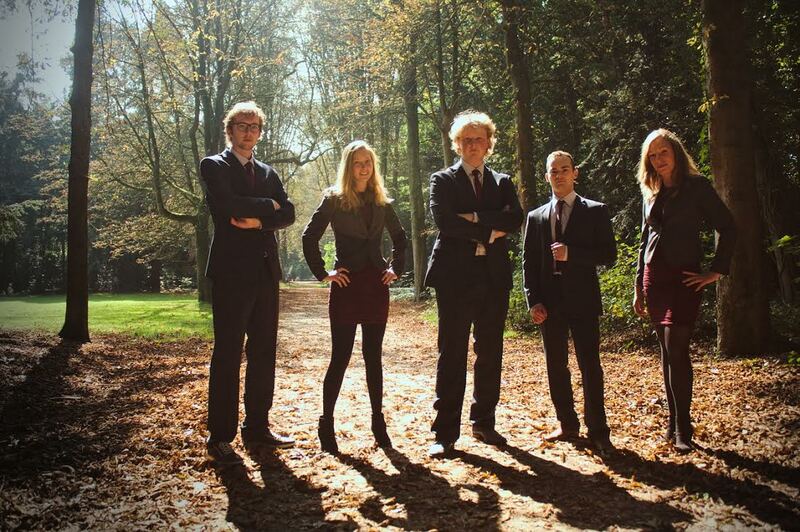 Luckily, the XXVIIIth board of AEGEE-Nijmegen tried to convince our members to change the visual identity before us. I have a passion for design and I liked playing around with the design programmes, so I didn’t mind making a few rough sketches. After the local Agora approved the change I got in close contact with the Public Relations Committee (PRC), and with their suggestions the logo was complete. Everybody is used to it now. It was not a very difficult task. It was just slightly annoying that I had to convince the members and change the logo several times after so some resistance was met. Luckily, I wasn’t alone, and I had a great team of board members with me to go on and change the logo accordingly. Imagine someone asked you why the visual identity is so important and worth working on so intensively. What would you answer? It’s surely worth it. As I said it’s slightly annoying that you have to change your design over and over. But following the PRC’s instructions is certainly worth it, they’re genuinely knowledgeable about visual design and they wouldn’t ask you for impossible stuff. It takes some time, but not more than a couple of hours – so it’s not the end of the world. And what was your most valuable AEGEE-moment? I guess that moment would be the last few seconds of my term as a board member because it was an amazing year. In that year I grew very close to Isa, Bob, Bart and Kim – whom I was in the board with. On the last local Agora of our term I kind of recapped the year. A few seconds before I said the words of dechargé, I swapped my presidential AEGEE hammer for a hammer that I received from my dad (he’s been president of some associations too) and I had a piece of family history in my hand. While looking my beloved board members in the eyes thinking about what we’ve gone through and looking my successors in their eyes. I said the words, and dropped the hammer. Therewith we were free of duty and everything was over. After a year of hard work, a lot of fun and a spending a lot of time on trying to improve AEGEE-Nijmegen the time was over. It was both sad, because I knew I’d miss it, and happy because it’s a weight off your shoulders. It’s a moment I’ll cherish forever. Are you striving for any other positions in the network? Maybe even on European level? I don’t really know where I want to go. I’ve missed a lot of lectures last year – and my parents weren’t too happy about that. So I’ll make them proud this year by catching up on my linguistics skills. With that being said, I’m still an active member locally, and I’ll be giving a training on the NWM Delft. I’ll take it slower than last year at least. Maybe one day I’ll join the PRC or the Key to Europe to exploit my knowledge of design. Maybe I’ll join a Training for Trainers (T4T) one day. So I don’t know – probably see you somewhere in Europe!